The Cistercian Order was born in Burgundy at the start of the twelfth century as a movement of radical renewal. Although most of the medieval foundations now lie in ruins across Europe, the Order survives and the greater part of its superb written heritage has been preserved. In his letters, Life of Malachy the Irishman, sermons on the Song of Songs and the sharply satirical Apologia for Abbot William, St Bernard of Clairvaux (c. 1090-1153) emerges as one of the most individual and influential writers of the Middle Ages. Aelred of Rievaulx and John of Ford, amongst others, are almost equally rewarding. 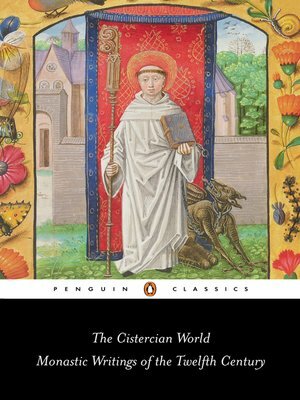 This magnificent book brings together a selection of their finest works, along with material from the earliest Cistercian house at Cîteaux, a charming description of Clairvaux, biographies of abbots and a famous anchorite, and a series of brief exemplary stories. All draw constantly on the text of Scripture to express intensely personal forms of monastic theology. Presented here in a superb new translation with invaluable introductions to each piece, they speak powerfully across the centuries to modern readers.